Kick off your visit on the 20th (Tue): make a trip to Kangra Fort and then contemplate in the serene atmosphere at Gyuto Monastery. On your second day here, take in the spiritual surroundings of Kalachakra Temple, then take in the architecture and atmosphere at St. John in the Wilderness Church, then contemplate in the serene atmosphere at Tsechokling Gompa, and finally appreciate the views at Kangra Valley. To see ratings, photos, and other tourist information, you can read our Dharamsala tour planner. Mumbai to Dharamsala is an approximately 5-hour flight. You can also drive; or do a combination of train and taxi. On the 22nd (Thu), wrap the sightseeing up by early afternoon so you can drive to Manali. 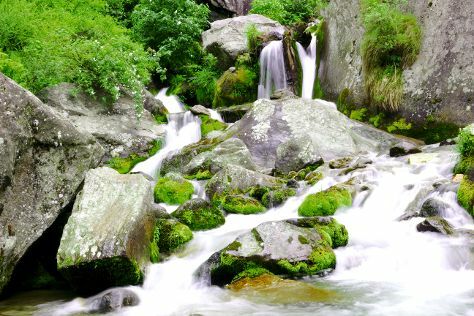 Explore hidden gems such as Jogini waterfall and Hampta. Venture out of the city with trips to Nicholas Roerich Art Gallery (in Naggar) and Gauri Shankar Temple (in Kullu). 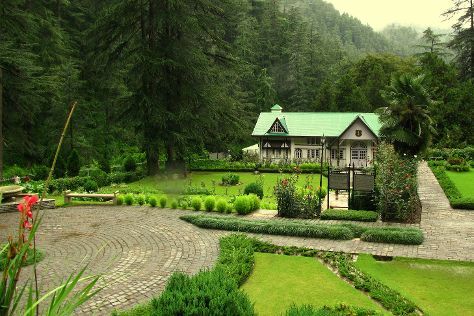 There's lots more to do: contemplate in the serene atmosphere at Manu Temple, look for all kinds of wild species at Rani Nala, admire the sheer force of Jana Waterfall, and contemplate the waterfront views at Bhrigu Lake. To find ratings, maps, more things to do, and more tourist information, you can read our Manali travel itinerary planner. Traveling by car from Dharamsala to Manali takes 5 hours. Alternatively, you can take a bus. On the 26th (Mon), wrap the sightseeing up by early afternoon so you can travel to Kaza. Kaza, is the sub-divisional headquarter of Spiti Valley in the district of Lahaul & Spiti in Himachal Pradesh. Its located at 3600 ASL and is a cold desert. You'll explore the less-touristy side of things at Spiti Valley and Komick Village. And it doesn't end there: don't miss a visit to Kibber Village, contemplate in the serene atmosphere at Key Monastery, take your sightseeing to a higher altitude at Kunzum Pass, and take a stroll through Hikkim. To see other places to visit, photos, where to stay, and tourist information, use the Kaza tour itinerary app . Getting from Manali to Kaza by car takes about 4.5 hours. Wrap up your sightseeing on the 29th (Thu) to allow time to travel to Tabo. Tabo is a small town in the Lahaul and Spiti district on the banks of the Spiti River in Himachal Pradesh, India. Kick off your visit on the 30th (Fri): contemplate in the serene atmosphere at Bodhisattva Maitreya Temple, take in the spiritual surroundings of The Golden Temple, admire the landmark architecture of Chogskhor Monastery, then admire the striking features of Dhankar Gompa, and finally contemplate in the serene atmosphere at Tabo Monastery. For photos, maps, and more tourist information, you can read our Tabo trip itinerary maker tool . You can drive from Kaza to Tabo in an hour. Wrap up your sightseeing on the 31st (Sat) early enough to travel to Shimla. Kick off your visit on the 1st (Sun): take in the spiritual surroundings of Tara Devi Temple, meet the residents at Himalayan Bird Park, then stroll through Annandale, then contemplate in the serene atmosphere at Kali Bari Temple, and finally admire all the interesting features of Gaiety Heritage Cultural Complex. Get ready for a full day of sightseeing on the next day: see the interesting displays at Annadale, hike along Shimla Heritage Walk, then don't miss a visit to The Ridge, and finally don't miss a visit to Scandal Point. For traveler tips, maps, photos, and other tourist information, read Shimla road trip planning tool . Drive from Tabo to Shimla in 12.5 hours. Finish your sightseeing early on the 2nd (Mon) to allow enough time to travel back home.